I woke up this morning feeling crazy kicks and punches from my little girl, which jumpstarted me right out of bed. In fact, she's still kickboxing as I write this. 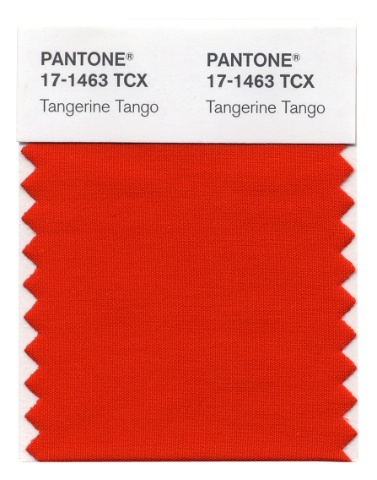 So, I figured that writing a post on Tangerine Tango, Pantone's Color of the Year, would be appropriate since the color is like a jolt of energy -- similar to what's going on in my stomach at the moment. Plus, with the new year here what better color to get us moving and grooving than Tangerine? I think when most people think of the orange color family, whether it's in fashion or in the home, they get scared or intimidated. And I totally get it. It's not exactly a color that "goes with everything" and so it takes a bit of effort to know how to use it in your wardrobe or home. BUT, what I don't think people realize is that you don't need to use it all over the place or even paint a wall in Tangerine. Just adding accent pillows here and there in that color family can work wonders for your space. An orange throw to go over your sofa will also do the trick. 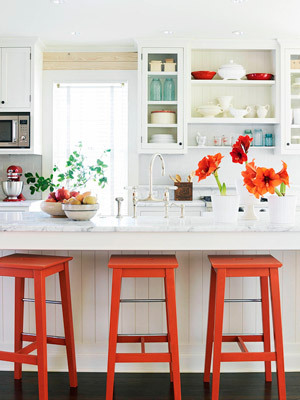 In my opinion, pops of color are the way to go if you're still a bit hesitant about using Tangerine (or any bold color), since they aren't a huge commitment and can really refresh your space. *You'll see below, but this color goes SO well with blues, yellows, whites, blacks, purples and pinks - lots of different colors! 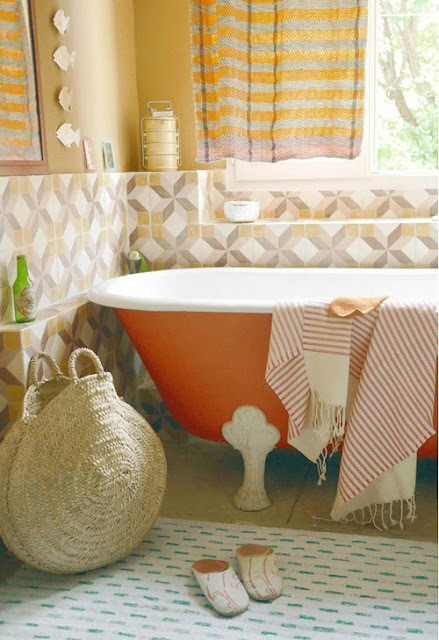 Some of the spaces below go all out with Tangerine Tango and some just use a table lamp or pillows to freshen the room up. Any way you go about using this modern & fresh color, you'll be happy you did. Trust me, this color exudes happiness. I think of Kate Spade, Diane von Furstenberg, & Jcrew when I see this color and those 3 things make me a very happy girl. Hope this brightens your day!